Hello again! Here is yet another flower tutorial for you all! I hope you are not getting tired of my flower tuts. :o) This one is super simple and I have used this flower a lot lately because it is so fast and cute! Thank you, Mistra, for the beautiful name you have given this flower! 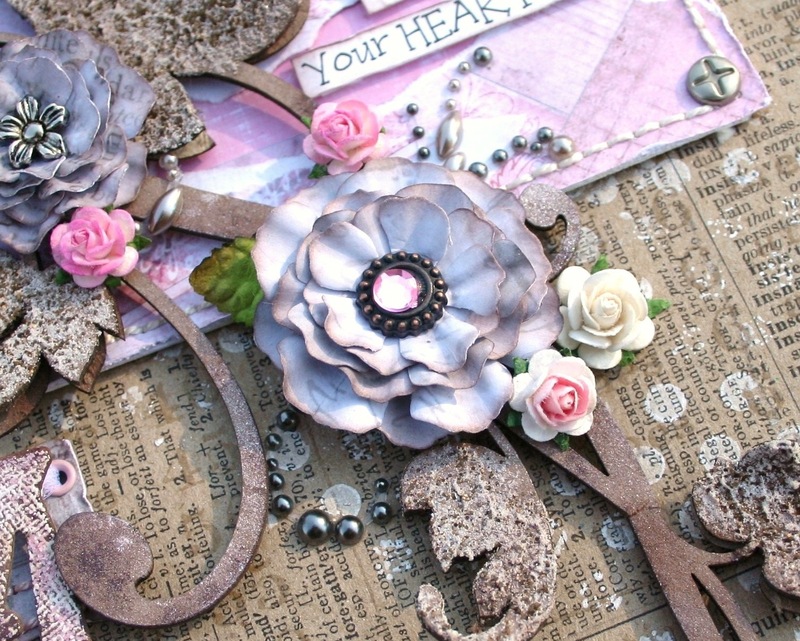 Donna Salazar's Rose Creations Dies (or similar)- You can create up to four different sized flowers with this tutorial and these dies. The key is to choose three consecutive sizes. You will need two of each size. Here is an example of just two possible combinations of sizes. STEP 1: Ink the edges of each layer. STEP 2: If you are familiar with my flower tutorials, then you know what a 'double pinch and twist' is. If not, follow along! 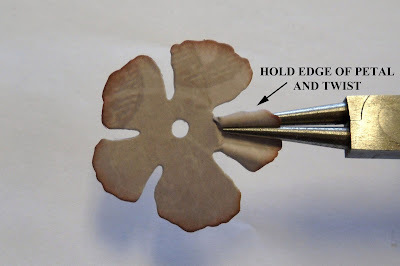 Using your pliers or tweezer, pinch the left side of the petal of your first layer. STEP 3: Gently twist inward towards the center of the petal. 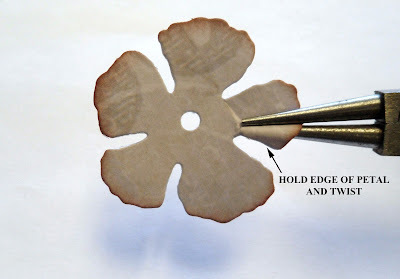 It helps to use your free hand to hold down the edge of the petal while you are twisting. STEP 4: Now pinch the right side of the same petal. STEP 5: Gently twist toward the center of the petal. Again, hold the edge to make this process easier. STEP 6: Now do this to every petal of each layer. Don't worry... with practice, this process becomes rather quick. STEP 7: Now start assembling your flower by stacking the layers. Start with the two layers of the largest size. Place a dab of glue around the center of the first layer and adhere the second layer to it. Remember to off-set your petals. Do this with all layers (from largest to smallest). Now add a decorative brad, a bead or whatever you please to the center of your flower. Use your fingers to gently 'fluff up' the petals. That's it! So simple! Hope you have fun with this tutorial! Have a beautiful day! 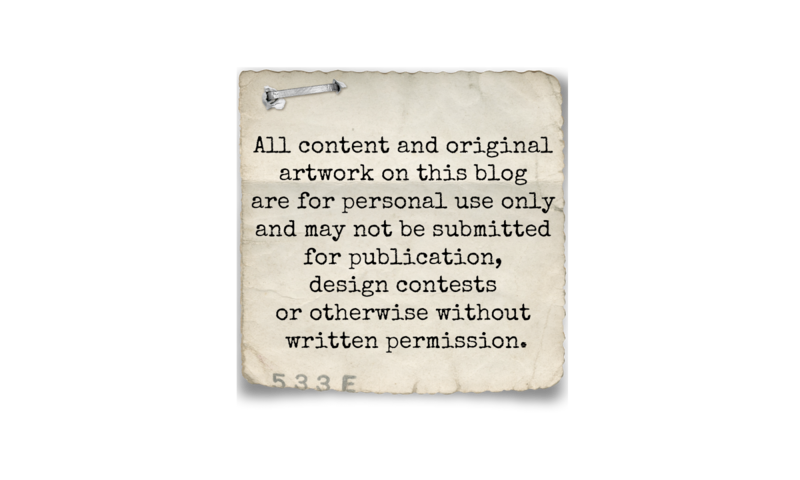 I just found your blog throug the 2 peas forum. My goodness you are so talented and your work is beyond gorgeous. I love your style. Thank you so much for sharing your work! Tired of your Awesome flower Tuts??!! Don't be talkin' crazy girl!! Bring 'em on! Another beautiful design and tutorial. Looooove your flowers!! I have gotten to where I refer to your tutorials to make mine rather than purchase them....they look better!!!! Thanks so much for this tutorial Natasha! These flowers are going to be perfect for my next mini album. Thanks again for sharing your beautiful work with us. This is so beautiful and thanks for the tutorial I will definitely try these beautiful flowers. beautiful page and that is a great tutorial. I will have to pin that on my pinterest board so I remember to come back to it again! thank you! Ru kidding me. I check your website every day almost to dee if there is new stuff, keep it coming. I have been using different punches to create my flowers, do you have any favs? 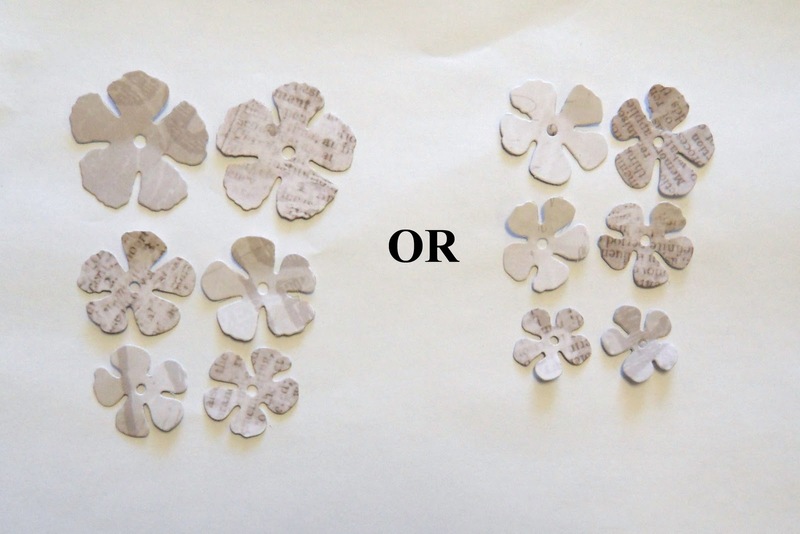 I actually use dies to make my flowers. My favorite dies are the Rose Creations dies by Donna Salazar for Spellbinders. It comes with six different-sized petals and leaves too! cool! I have to try this! Thanks for the tutorial! I love your card and these flowers! Thanks so much for the tutorial! I can't wait to get this die cut and try it. I just discovered your blog yesterday, I am happy to say! I am so glad you are doing tuts on flower making. It can be so expensive to have to purchase all the needed embellishments for a project, whether cards or scrapbooking, so I am looking to start making them. 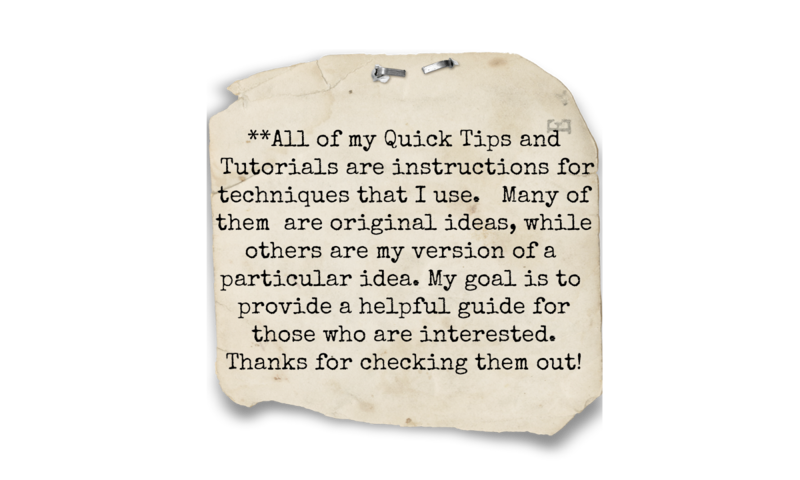 I appreciate this tut and can never say there are too many...thanks so much! Thanks so much for this tutorial, Natasha, and keep them coming! You are such a talented artist and I love it that you share your ideas with people that you don't even know! I have your blog right in my toolbar so that I can click and instantly be inspired! Love all your tutorials, keep bringing them!